Lu Yi and his family send their early greetings for Chinese New Year which is only 2 days away for anyone who's wondering. 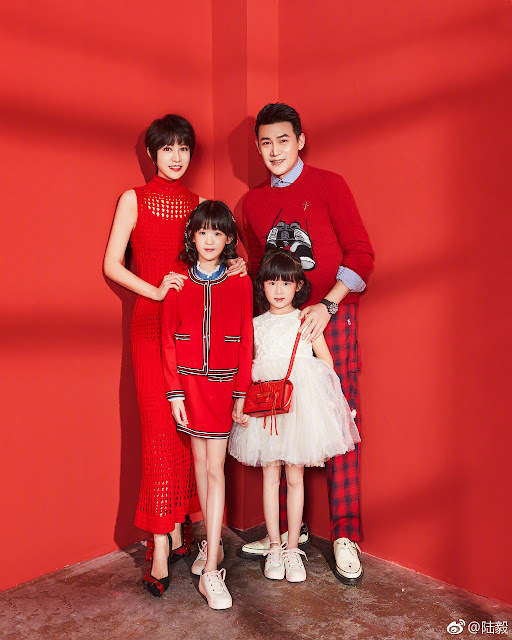 I often see pictures of Lu Yi either with his daughters or his wife Bao Lei and they remind me of a picture perfect celebrity family. Lu Yi and his wife are college sweethearts who have weathered the storms of showbiz as a married couple. Now that they have kids, it's quite clear that Bao Lei has taken a backseat in terms of her career, though it only took me until now to realize that she was Princess An Ning in the 2005 drama My Bratty Princess starring Jang Nara and Alec Su. Lu Yi and his eldest daughter Bei Er have previously gone on the reality show Where Are We Going, Dad? and it looks like we can expect to see more from this family of four. With their dad almost six feet tall and their mom also with a model figure, it's no wonder the entire family is endowed with good genes. 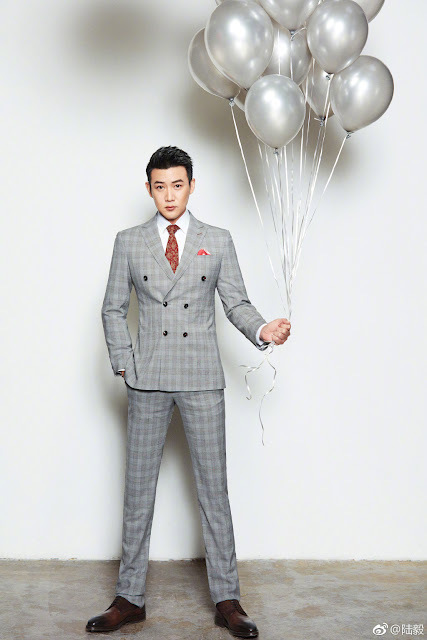 Lu Yi seems like the kind of actor who just keeps on acting that I haven't managed to keep track of his works. Personally, I'm a fan of his from Legend of Qin. It's worth noting that he starred in the 2017 mega hit drama In the Name of People. He's also in the recently airing Spy Hunter giving what I would call a very unexpected performance compared to other characters that he's played in the past. OMG the children look soo thin so do the parents.